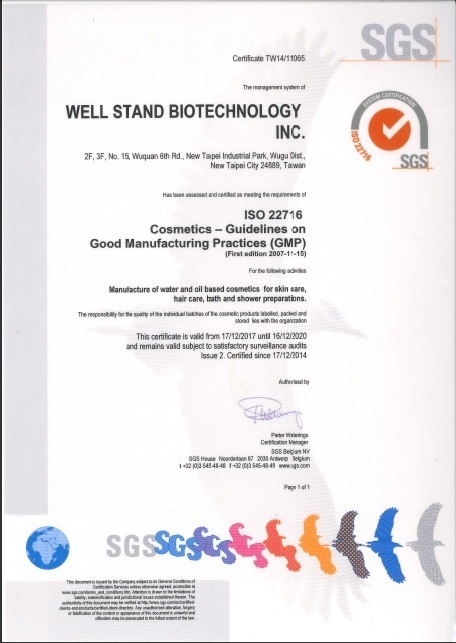 Company Overview - WELL STAND BIOTECHNOLOGY INC.
WELL STAND BIOTECHNOLOGY INC is a professional ODM/OBM manufacturer with more than 30 years of experiences in cosmetics industry. Our factory is located in Taipei, Taiwan, and we are certified by SGS with ISO 22716:2007 (Good Manufacturing Practices.) We are totally committed to the new product development and aware of the latest trends of the ingredients used in the cosmetic industry. Our R&D takes part in the PCHI, In-cosmetics and Cosmoprof, and turn new ideas and concepts into real cosmetic products that are most trendy and updated. Quality is no compromise. 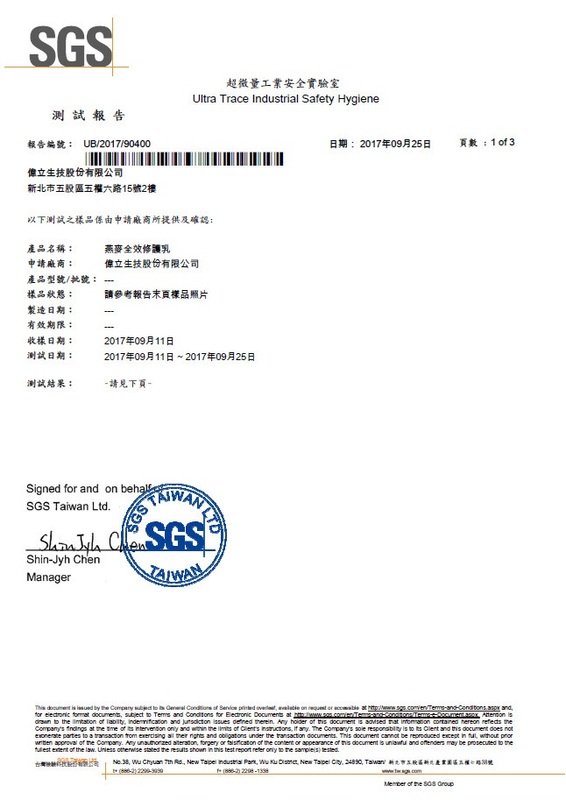 By following the highest standards of ISO 22716:2007, the production, control, storage and shipment of cosmetic products are totally covered. We especially put emphasis on the quality aspects of the products from raw material, to final finished products. We pay close attention to the cosmetic regulations in your country before we submit our products to you. By doing so we can assure you a true and long-term success of your products. Well Stand Biotechnology Inc. strives to produce natural, safe, and effective cosmetic products that make people more beautiful and healthier through innovative product research and development and rigorous production and quality control process. We hope to work with you to build up and expand your market. Zip code: 248, No. 15, Wuquan 6th rd. New Taipei City, Taiwan. Manufacture of water and oil based cosmetics for skin care, hair care, bath and shower preparation.